Chia sẻ các kỹ thuật xử lý sự cố liên quan đến máy tính. 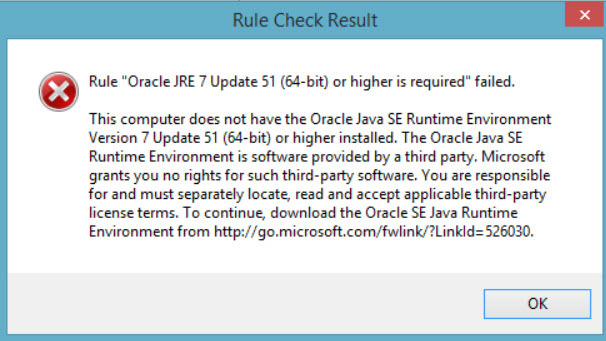 Rule “Oracle JRE 7 Update 51 (64-bit) or higher is required” failed. This computer does not have the Oracle Java SE Runtime Environment Version 7 Update 51 (64-bit) or higher installed. The Oracle Java SE Runtime Environment is software provided by a third party.